Attention, Marty, Elizabeth, Sue and any other Quilting Mutant. Mary has just finished a quilt 12 years in the making! Made from all the jerseys of ball teams, he was on, since the first grade and to be presented this year at graduation to our nephew. Nephew will love exploring all that history. Lotta work has gone into that, just preparing the shirts alone! Did Mary do all the piecing and all the quilting, too? Longarm machine or handwork? On her own but with some excellent assistance from one loving, caring, sweet husband! Although she has her mothers quilting rack she now has a long arm machine. This was her first to finish on the machine and yes there was a few times I had to step in between her and machine, as they weren't getting along very well, but I think it turned out well. She sees every flaw but is encouraged when I tell her all the positive comments from this group. Last evening at our place. I made the video in a pouring rain and came in soaking wet and miserably cold and just wanted to down load and send to You Tube. I forgot about it being on auto upload via Gmail and just got the notice that it was ready. No editing just raw video but what the heck is a tad of background noise between friends. I think you sent that "blow" this-a-way. Open the aperture! Mary, so talented and such a nice graduation present. Finally got the computer up and running on wi-fi, so I can continue my nightly lurk and pop in when I have something interesting to add to the conversation. Dave, time to start thinking "Wide & Slow" watching the mirrors. If you DW is anything like mine she'll have you leave the scratches there for a couple years as "remiders," like when the next time you turn and she says, "Remember when..."
Now they are saying they don't know what it is and not doing Sergey? ??? Dang, dang, dang and double dang! Shara, please get well and some prayers and ohhmmms coming to help. Ok doc came in and said I hope you start feeling better because I don't know what's going on. I was like really and said run more tests. She said we ran them all. I said really? You did blood , pee, and cat scan that was yesterday now you just tell us see you tomorrow? And a few choice words. The doc said well then walked out. I am so mad right now. And because of long ago past problems with past husband, and having to live by credit card, i try NOT to use them..... Unless.......... I mean really... He used credit cards to pay his incone tax and social security.... Lol Can we say exxxxxx. Absolutely darlin' little Westies! They're such charmers! Martin pays as many of our bills as possible w/ credit card, including tax-types ... and we use the air miles. Madness in his method! Ommms... for Shara... and all others in need. Dwayne - got your busy signal. Didn't leave message. Will check back later as I'm sure you have your hands full. I am amazed at how very comforted I am by all the thoughtful messages and ohmms from my mutant friends at the passing of our Rex. You have not idea how much it means to me. Thank you so much. You guys are amazing. So sorry your beautiful Rex had to leave. There was good reason, of course, but all pet lovers know the pain and sadness. May the good memories sustain you till you meet again. Behave yourself! It may be that only the good get to go to the Rainbow Bridge. Hedge yer bets! I am truly sorry you are not able to make either Arizona gathering as I was so looking forward to meeting the occupants of the Purple People Mover. Hopefully Denise and I can meetup with the two of you at some future gathering. Double dat! We don't see Jne and the talented Dave often enuff! I am and have always been "scatterbrained". Therefore this post right here is ontopic, Yes? Edit.. just heard they took him at 6 pm - so should hear something soon. I know I'm late to the party and will get updates as I ketchup, but you know I'm sending oooms for uneventful surgery and good recovery. Dad is home and all went well. Still as crotchety as ever. It is 55˚ outside and 75˚ inside and the thermostat is still on AC, just in case. Dwayne, tell Shara we are all sending the most powerful ohmmms that mutantville can muster. The pain is bad enough without the docs not knowing how to fix it. Maybe it's time for a new doc or different hospital? 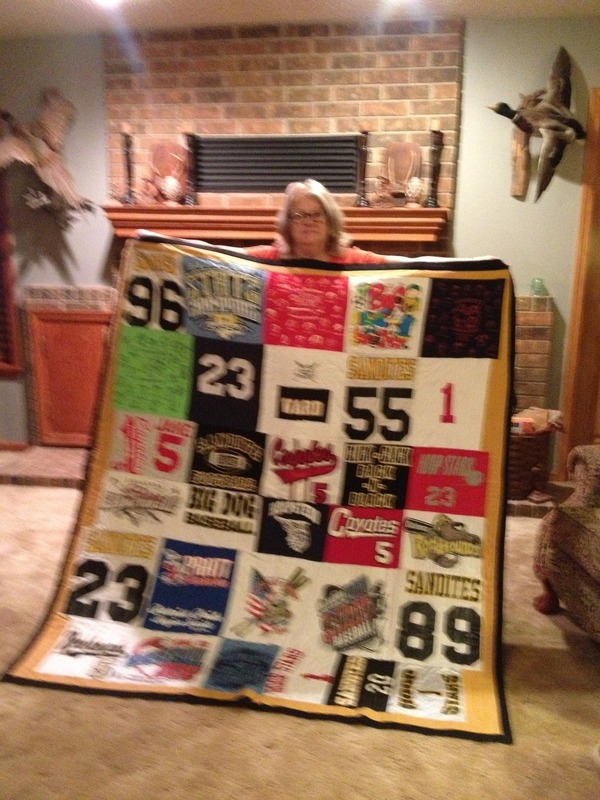 Mary, your quilt is amazing! Hold on Possum! I hope you won't have another major redo of your cool light display. They are still at the hospital and still no clue as to orgin of pain. They are at a hospital somewhere in Tucson. We are an hour north of there so I let him know we are here if they need anything. In the meantime the RVMdom Omms generator is on high output for Shara and all.